2013 Vectrix VX-1 Li Plus. Picture credits - Vectrix. Submit more pictures. Price as new (MSRP): US$ 13995. Prices depend on country, taxes, accessories, etc. Front brakes: Single disc. Bremo. Regenerative braking. Carrying capacity: Under-seat storage compartment for a full face helmet. Comments: Range 55-85 miles per charge depending on speed. Appox 5 hour charging time. Estimated battery life: 10 years. NiMH battery. 1.5 kW on-board battery charger, 110V-220V (50/60Hz). Patented Multi-Function Throttle provides regenerative braking and slow-speed reverse. Ask questions Join the 13 Vectrix VX-1 Li Plus discussion group or the general Vectrix discussion group. Rate motorcycles you know and help your fellow riders to find the bike that is right for them. Bikez has the most users and the most extensive motorcycle rating on the net. It includes reliability, design, engine performance, accident risk, repair cost, offroad capabilities, racing track capabilities and touring capabilities. The ratings are also used to rank the 100 most popular MC models each year since 1990. The lists	are adjusted weekly as new ratings are added. 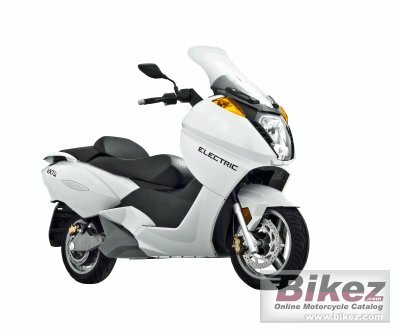 You can check out the rating of the 2013 Vectrix VX-1 Li Plus and compare it to other bikes here.